Jacob Family — Riverview Homes, Inc.
"We weren't crazy about the idea, but one look at the models that Riverview Homes were offering made us sing a different tune." "When our summer home -- our beloved 'cottage' -- got flooded a couple years ago, we knew there was no saving the old girl. We'd have to knock it down and start from scratch. A friend suggested looking at pre-fab homes. We weren't crazy about the idea, but one look at the models that Riverview Homes were offering made us sing a different tune. Beautiful! Outstanding! Better than we had ever imagined. Our salesman, Jay Barlett was a dream to work with. All the men who came to deliver our cottage and set it up, especially Terry, were professional, respectful, and hard working. Everyone pulled together to make it a stress-free, fun, amazing process. We could not be happier. We've been enjoying our weekends at the cottage and sharing it with friends and family. 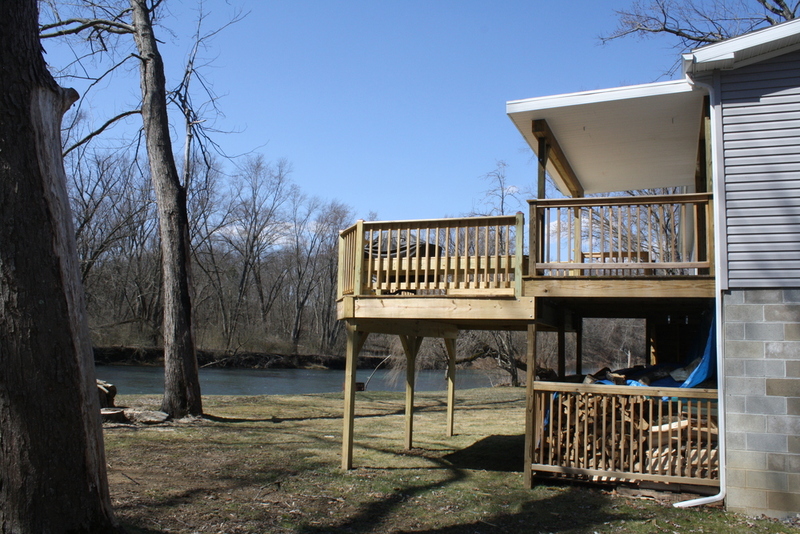 We added a front & back deck, and it's been the site of family reunions, long weekends playing board game & having bonfires, kids rafting down the creek, and dogs running around...honestly, it's our little piece of heaven."